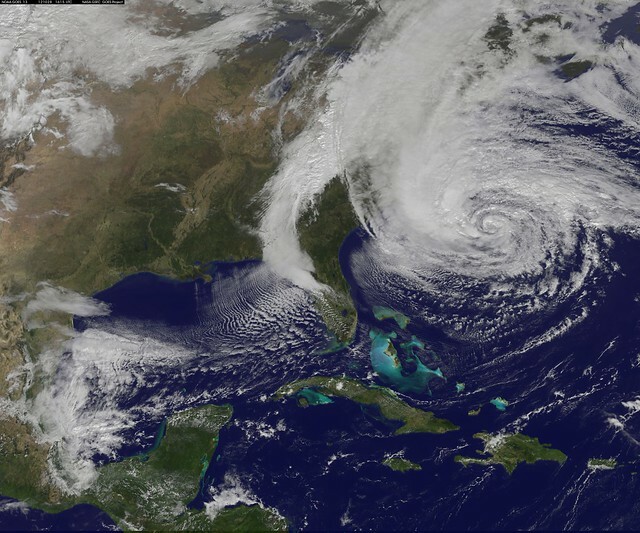 NOAA’s GOES-13 satellite captured this visible image of the massive Hurricane Sandy on Oct. 28 at 1615 UTC (12:02 p.m. EDT). The line of clouds from the Gulf of Mexico north are associated with the cold front that Sandy is merging with. Sandy’s western cloud edge is already over the Mid-Atlantic and northeastern U.S.